The School’s aim is to enable its graduating pupils to study with the teacher and at the institution of their choice, whether that be in the UK or overseas. Over the last five years, pupils have gained places at top conservatoires and universities around the world, including the Royal College of Music, the Royal Academy of Music, the Guildhall School of Music and Drama, the University of Cambridge, the Juilliard School, the New England Conservatory, the Curtis Institute of Music, Musikhochschulen in Berlin, Hamburg, Hannover, Lübeck, and Munich, and the Royal Conservatoire at The Hague. After more than 50 years, the School now has an extensive list of illustrious former pupils who are involved in the music profession. 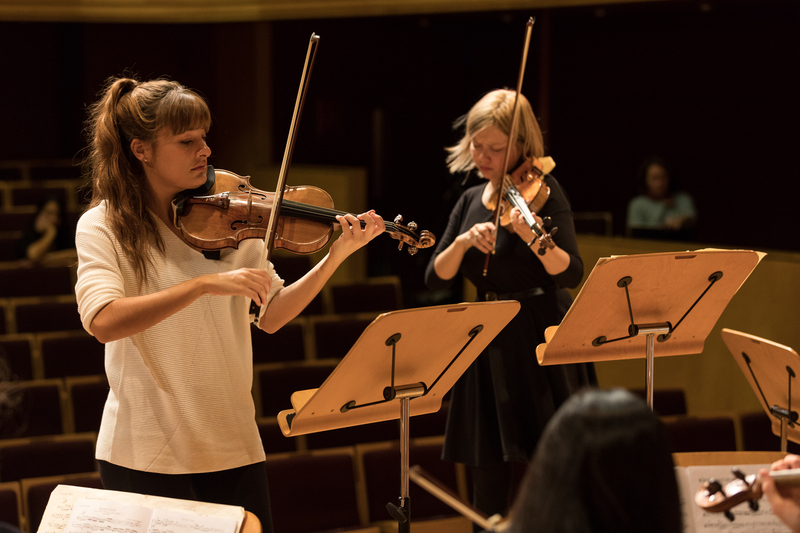 These include the violinists Tasmin Little, Nicola Benedetti and Alina Ibragimova, cellists Colin Carr and Paul Watkins, pianists Melvyn Tan, Kathryn Stott, Charles Owen and Paul Coker, and many other past pupils who perform in eminent chamber ensembles, orchestras and as soloists and teachers around the world. We enjoy maintaining links with our alumni and sharing news of their activities with the rest of our community. Please email Sarah McDonald at sarah.mcdonald@menuhinschool.co.uk with any submissions for inclusion in our termly newsletter.